It took the author 20 years to educate herself to write about this topic. With incredible empathy, intelligence, and candor, Jodi Picoult tackles race, privilege, prejudice, justice, and compassion—and doesn’t offer easy answers. 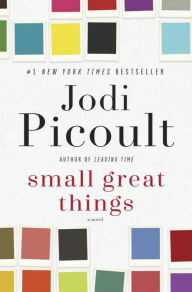 Small Great Things is a remarkable achievement from a writer at the top of her game. Much to discuss for book clubs!